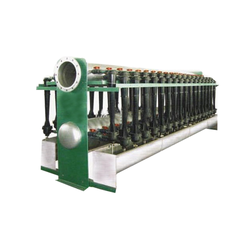 It is used for the cleaning purpose in the Paper Industries. 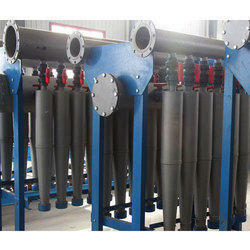 The mains body material of high wear resisting stainless steel with high quality make it maintains conveniently . Throughly separates a tinier impurity . The whole assemembly goods supplies make the installment convenient and quick . 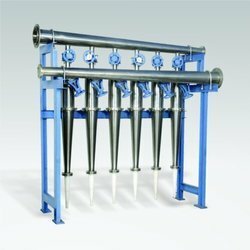 It can be used in a situation of high temperature of corrosion .The final part pulp saving machine may supply another choice . The impurity removing equipment is a unique impurity removing machine chine new designed by tianli company . It has a very low impurity removing rate based on guaranteed high purification efficiency .Each impurity removing camn insert a ceramic cone to improve the wear resisting ability . it has designed an early warning on the wear resisting awl . TSC high efficiency heavy impurity cleaner is the latest type cleaner and high efficiency impurity cleaner researched and developed on the bases of domestic and foreign technology . It can beused to remove sand small iron dust larger ink and so on . Tsc heavy impurity can contact with light impurity cleaner according to the difference of different pulp material to get an ideal effect. The way to deal with the problem is using ceramic wear resistant ring it can provide an insistent impurity removing rate and expand its using life .We provide different kinds of impurity removing ring according to impurity removing. TSC high efficiency heavy impurity cleaner is the lastest type cleaner and high efficiency impurity cleaner researched and developed on the bases of domestic and foreign technology . It can beused to remove sand small iron . dust larger ink and so on . TSC heavy impurity can contact with light impurity cleaner according to the difference of different pulp material to get an ideal effect . TSC heavy impurity cleaner can choose different impurity removing ways according to different needs of different guests to satisfy their working environment . C Ceramic wear resistant impurity removing ring . Neck parts of all impurity cleaner are the collecting parts of worn out . The way to deal with the problem is using ceramic wear resistant ring it .It can provide an insistent impurity removing rate and expand its using life. 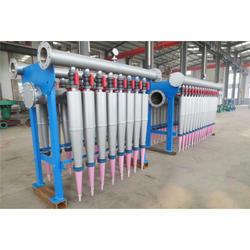 Tianli machinery provide different kinds of impurity removing way for you . TMZC cleaner , a new generation product removes impurity from pulp through centrifugal effect . Based on feedback from first generation cleaner users ,this patened product is specially designed to solve impurity removal difficulties for medium and small scale paper mills . cleaner configuration is adjustable according to user requirement to solely separate heavy impurity solely or jointly separate light and heavy impurity , consequently reduces user resources investment . This cleaner is capable in separating heavy impurity such as gravel scrap iron dope and other heavy mixtures , and light impurity such as plastic piece bubble air printing ink powder and etc . The TZC Cleaner is an advance cleaning equipment , especially in wastepaper pulp cleansing , key equipment in wastepaper recovery centrifugal force separates impurity from pulp according to their specific gravity difference . 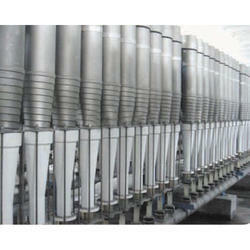 Dual cone Mc Cleaner has broad usage in pulp cleansing . It can be applied in both primary cleansing of HC (high concentrated) pulp and fine cleansing of LC(low concentrated) pulp before paper machines . A spiral pulp inlet port design . 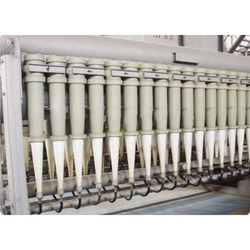 Generate a steady swirl under the low pressure situation thus to reduce the power consumption and to improve the purification efficiency . A wear resistant vortex directional device . Materials enter in the tangent directional . essily to wear down the top of the vertebral body , so by using the wear resistant material on the vertebral body improve the service life of the cleaner . The pumping and tensile nozzle can prevent blocking and make the clearing blockage convenient Pumping and tensile nozzle. Cleaner is a vnew type making industry special cleansing equipment developed on basis of domestic and foreign advanced technology . This product mainly removes light impurity such as wax polystyrene bubble printing ink mark heat dissolved conglutinate substance and etc by vortex centrifugal theory . TDC light impurity cleaner is new type cost - effective equipment that resolves light impurity interference in occ pulping process . TFC horizontal dual directional cleaner manufactured by is a new type of high efficiency cleaner on basis of domestic and foreign advanced technology . It can be apply in clearing and separating tiny residua in pulp indispensable equipment in pulp cleaning especially paper machine flow system . TFC cleaner adopts modularization structure design horizontal installation and vertical sectional extension . Its structure is concision and compact . 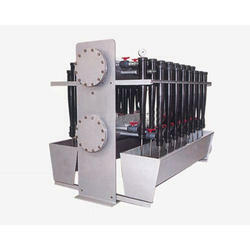 The cleaner can be assembled into various groups according to users requirement. TFC vertical dual directional cleaner manufactured by is new type of high efficiency cleaner on basis of domestic and foreign advanced technology . 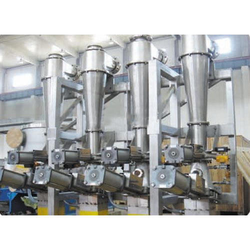 It can be apply in clearing and separating tiny residue in pulp indispensable equipment in pulp cleaning , especially paper machine flow system . TFC cleaner adopts modularization structure design horizontal installation and vertical seactional extension . Its structure is concision and compact . 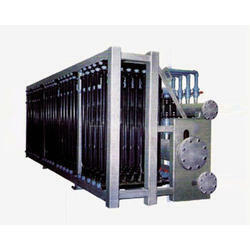 The cleaner can be assembled into various groups according to users requirement. TMC high efficiency multifunction cleaner is a new type multifunction cleaner manufactured on basis of domestic and foreign advanced technology removes light and heavy impurity through centrifugal effect . The product upper body adopts stainless steel as material and lower body is made of polyurethane through injection molding . Main body inner wall is spiraling cone shaped . 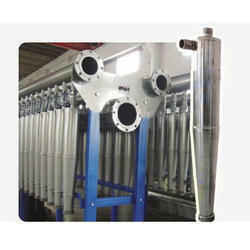 It can be apply in pulp cleansing system removes light and heavy impurity such as mixed refuse olefin adhesive substance . Plastic piece bubble gas gravel scrap iron and etc . It can apply in pulp cleansing system removes both light and heavy impurity such as mixed refuse olefin adhesive substance plastic piece bubble gas sand stone scrap iron and etc . TMLC - 700 multifunction cleaner is a modern type multifunction cleaner on basis of domestic and foreign advanced technology , which can removes light and heavy impurity through centrifugal effect . Cleaner upper and lower cone body adopted polyamide P12 as material with high intensity great wear resistant and flexibility . Both upper and lower shell adopted fiber glass reinforced polypropylene pp as material .This cleaner has high separation effect due to its designed characteristic fine pulp entering an long light impurity cleansing section by encircling the central section of air core and separated through the top of the cleaner efficiently Fine pulp is then extruded along tangential direction by the wall of cleaner . Effectiveness is even more salience when working in with our TXC -150 light cleaner. TMZC cleaner a new generation product which removes impurity from first generation cleaner users , this patented product is specially designed to solve impurity removal difficulties for paper mills . Cleaner configuration is adjustable according to user requirement to solely separate heavy impurity solely or jointly separate light and heavy impurity consequently reduses user resources investment . 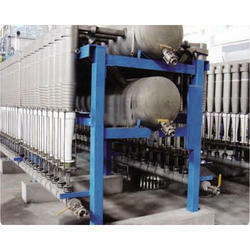 This cleaner is capable is separating heavy impurity such as gravel , scrap iron dope and other heavy mixtures and light impurity such as plastic piece bubble air printing ink powder and etc . TNC reverse light impurity cleaner is a new type light impurity cleaner manufactured on basis of domestic foreign advanced technology mainly removes scrappy light impurity in pulp system which specific gravity is similar to the system ,removes impurity such as cere . heat dissolved conglutinate substance and gooey and etc effectively . TDC light impurity cleaner is used for TNC converse light impurity cleaner reject pulp tratement . Under the condition of low consistency . TNC light impurity cleaner removes pulp light impurity such as plastic bubble , heat dissolved conglutinate substance and etc. Special inlet design ensures gaseous core stability of rotation for better impurity separation factores such as pressure generated at pulp inlet shorter traveling distance and longer duration in the cleaner and ensures the ,maximum cleaning efficiency. This product mainly removes light impurity such as wax polystyrene bubble printing ink mark heat dissolved conglutinate substance and etc by vortex theory . TXC light impurity cleaner is new type cost effective equipment that resolves light impurity interference in occ pulping process.